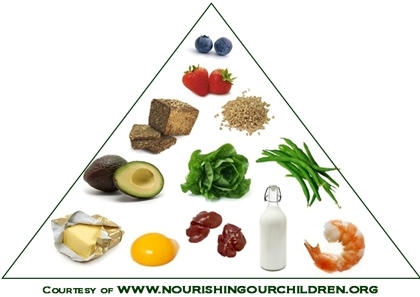 Follow our Healthy Diet Pyramid to experience optimum health and brain development. Here we dispel myths surrounding the so called healthy food pyramid and recommend a time-tested healthy eating pyramid. What is a Healthy Diet Pyramid? Parents all over the United States are confused about what they should be feeding their children to ensure they have optimum health and brain development. Let's talk about what you should be eating and why you are confused. We all understand the importance of a healthy diet, but figuring out what we should be eating and what comprises a healthy diet pyramid is very confusing for most people. Unless you have spent hundreds of hours reading all of the latest scientific studies, you are bound to be confused! Why? Proponents of everything from Atkins to all-raw veganism to many other dietary schemes claim that theirs is the proven pathway to good health. How are we to make sense of all these conflicting claims in order to choose a diet that works for ourselves and our families? And not only in this generation but in the generations to come. 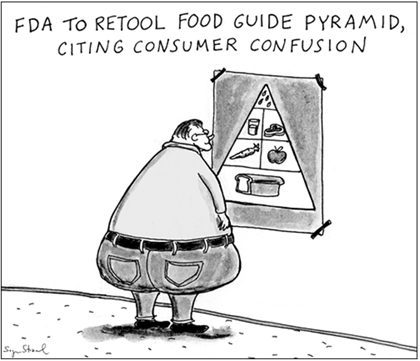 Note: If you don't believe us, do a Google search for healthy eating pyramid and healthy food pyramid and see how many of the different listings are from food processors or assertions backed by food processors. Good health has to do not only with how we feel today, but how we feel throughout our lifespan and the health of the future generations we produce. Click here to jump straight to our recommendations about What To Eat as part of our healthy Diet Pyramid. Think about how many people’s food choices are controlled by television advertising instead of solid research. Think about how vulnerable children are to advertisements showing their favorite TV hero eating this breakfast cereal or that pop-tart. Children don't develop their critical thinking abilities until much later in life. Think about how many parents figure that these products must be OK for their children because they are “fortified” and the USDA’s dietary pyramid is displayed prominently on the box to assure them that yes, this product qualifies as a great way to get the 5 servings of grain their child needs every day. How many parents take a look at the "healthy food pyramid" and really take the time and ask, How can 30 grams of sugar be good for my child even if it is accompanied by some synthetic vitamins? Think of how many parents are clogging the fast food drive ins so that they can get food into their children between as they drive between events in their activity packed days. Think about how few parents take a step back and think, Why are so many of my children’s friends sick? Could this choice be contributing to my own child’s health, emotional and developmental struggles? How Misguided is the Majority of the Population About What They Should be Eating? Another great tidbit of information about the power of advertizing from CrazyMakers: "The fictitious person named Betty Crocker was first created in 1921 as a pen name for General Mills’ consumer response department and, under her well-recognized image, turned several generation of Americans away from their traditional foods and toward highly processed, less-nutritious foods." Interestingly a whole generation of mothers were convinced that margarine was healtier than butter due to another advertising campaign when there was never a study that demonstrated that margarine was healtier. Quite the opposite, hydrogenated vegetable oils – like margarine- are now scientifically proven to be the main contributors to heart disease, NOT butter. Since 1980 when the USDA first released its Dietary Guidelines for Americans, the government working hand in hand with the food processing giants has been trying to convince us that a low-fat, grain and cereal based diets are healthiest for us. Millions of Americans have tried to eat a healthy diet according to the USDA’s guidelines and have become overweight, obese and sick in the process. Yes, you read correctly, the official U.S. government diet is not based on science; it was designed to promote the products of commodity agriculture. The government diet, based on carbohydrates, has led to an epidemic of obesity, learning disorders and malnutrition in the U.S. It is nota healthy diet pyramid. The original USDA Dietary guidelines were based on the as-yet-unproven theory that reducing dietary fat would reduce heart disease, diabetes and obesity. Since there were developed science has proven time and time again that this premise is false, but when scientific evidence contradicts the USDA’s definition of healthy, the USDA ignores the science. Why shouldn’t they? There are no consequences to the USDA if their guidelines don’t work while at the same time, there are huge rewards to the policy makers for encouraging the consumption of enormously profitable, “fortified” and “enriched” products that are virtually devoid of nutrition. Studies clearly show that by following the current guidelines, most people are not even getting the minimum nutrition their body needs from the food they eat. This is most damaging to children who have higher nutritional needs due to their rapidly growing bodies. Ironically, at the same time we are not getting the minimum nutrition we need, the percentage of population that is considered obese has skyrocketed from 15% in 1980 to over 35% today. Childhood illness has skyrocketed. Attention disorders abound. The importance of a healthy diet has been sacrificed in the name of profits. The USDA’s primary goal isn’t to keep you healthy. Its primary goal is to increase the profits of the food manufacturers. Due to USDA policies, food prices and production at the farm level are flat. Meanwhile, the food processing industry continues to grow and demands more cheap grain and cereal products resulting in an emphasis on massive monoculture farming that depletes our topsoil and poisons our rivers with pesticide and fertilizer run-off. A “tofu dog” is not just bad for you, it's also bad for the farmer and the environment. Thanks to the USDA policies, cheap grain and cereal-based foods are everywhere and are marketed an important part of a healthy diet. During the past thirty years, the calorie increase in our diet has come almost entirely from grain-based foods. Just as processing brings profit to food manufacturers, Traditional foods, those that are in their most natural state, unadulterated and unrefined put more money into the pockets of farmers. Unfortunately, in terms of total profits to be made both here and overseas, processing and packaging are much more profitable to the policymakers than farming. Are you feeling as frustrated and mislead as we were before we started doing some research? Good. Now let's talk about what you SHOULD be eating. Using common sense you may expect that eating the real, whole, nutrient dense, nourishing foods that the human race has enjoyed for thousands of years is likely to be the healthiest for us because genetically, we are adapted to eat them. This is a proven healthy diet pyramid. For more information about the benefits of traditional and nutrient dense diets read Healthy Diets for Kids . Instead of grain and bread comprising the majority of your daily food intake, we suggest that the majority of your food intake should be made up of protein, vegetables and healthy fats. This means that the majority of your food consumption should be coming from meat, dairy and fresh vegetables. Whole, raw, organic fruit and berries should be eaten sparingly since they contain a lot of sugar. The best way to eat fruit is raw or minimally cooked as a topping for homemade porridge. Grains should also be eaten sparingly and be properly prepared to neutralize the enzyme inhibitors. Grains naturally contain enzyme inhibitors that prevent them from sprouting prematurely. By soaking or sprouting your grains you neutralize these enzyme inhibitors which make grains difficult to digest. 6-7 servings protein per day from eggs, milk, lamb, beef, chicken and seafood (includes 3 servings of whole, raw milk and some form of protein at each meal). All meat should include the fat (no skinless/boneless. Also include organ meats like liver once a week if possible as they are especially nutrient dense. 2-5 servings of green vegetables like steamed spinach and broccoli salted to taste and/or fresh salad greens. Including 1-2 servings of lacto-fermented vegetable per day like sauerkraut or pickles per day is ideal. 4-6 Tablespoons of healthy fats used to cook and serviced on green vegetables and porridge. Our favorites are Butter, Coconut Oil, and Lard. We use Olive Oil only raw in salad dressings and marinades. 1-2 servings of soaked or sprouted whole grains like Oatmeal and homemade sourdough bread with butter, cheese and/or fresh berries. 1-2 servings of organic, raw fruit per day like blueberries, raspberries, strawberries and kiwi fruit. 1 quart of filtered or spring water each day. Salt food to taste with natural sea salt. For a great article that explains why we recommend some of the above in our healthy diet pyramid read Our Food Pyramid by NourishingOurChildren.org. For more suggestions and ideas regarding what you and your family should be eating every day, read Healthy Eating Guidelines (coming soon). Probably the best book we have found about diet, nutrition and a healthy diet pyramid for children is The Crazy Makers: How the Food Industry is Destroying Our Brains and Harming our Children by Carol Simontacchi. Our second favorite book is the enduring classic work on how what we eat shapes us, for better or worse, titled Nutrition and Physical Degeneration by Weston A. Price, D.D.S. We encourage you to purchase both.